At Hogan Consulting Group, we know that there is a lot of misinformation flying around out there and not all of it is malicious. We've noticed there are many such instances surrounding moving to the cloud. 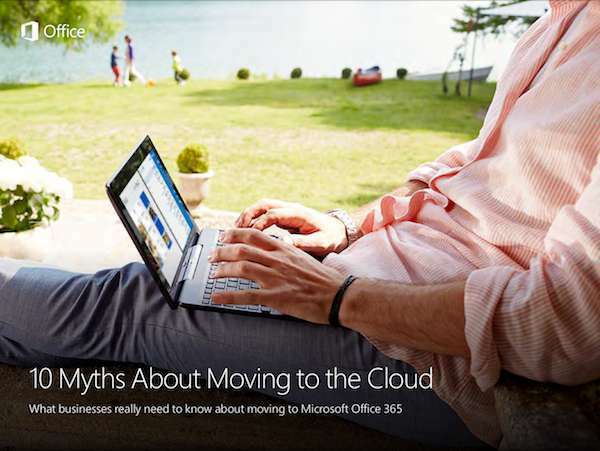 That's why we've put together the 10 Myths about moving to the cloud: What businesses really need to know about moving to Microsoft Office 365. It walks you through the most common myths surrounding the cloud and why those ideas are baseless, so you can make an informed decision about your move to the cloud. Dispelling myths about the cloud is one way that we try to help. Contact us to find out how else we can help you with your transition to the cloud. At Hogan Consulting Group, we know that most companies that choose to move to the cloud do so because they have decided they need it for business agility and want the cost savings that come with it. How can you know whether you’re making the right move? This e-book will address the inconsistencies you’ve encountered in your research and bust myths surrounding cloud adoption. Because you need to know the facts in order to make an informed decision.